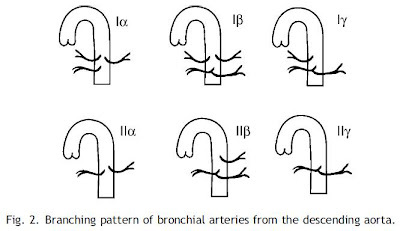 Theories on the nature/origin of MAPCAs in Pulmonary Atresia with VSD. 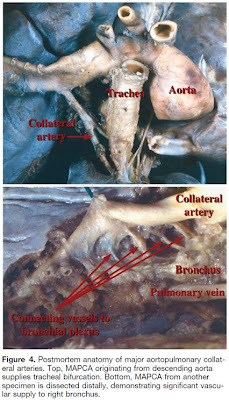 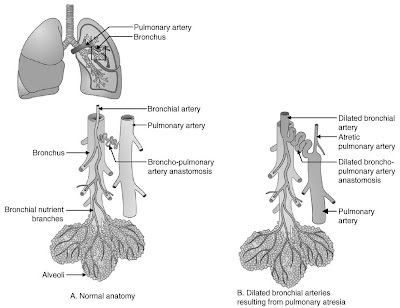 It is speculated that MAPCAs are enlarged bronchila arteries in whom the broncho-pulmonary anastamosis has enlarged. 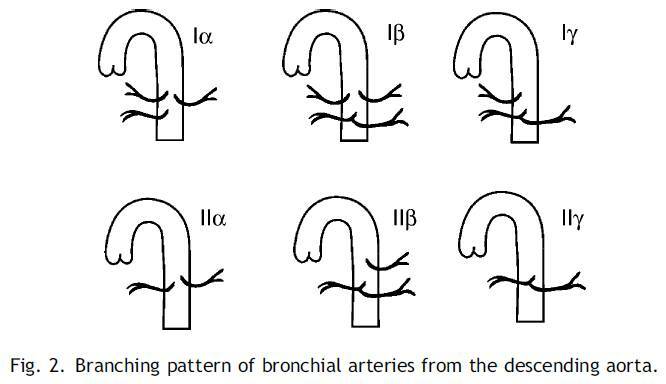 The following 2 images are from Ingram Schulze-Nick et al. 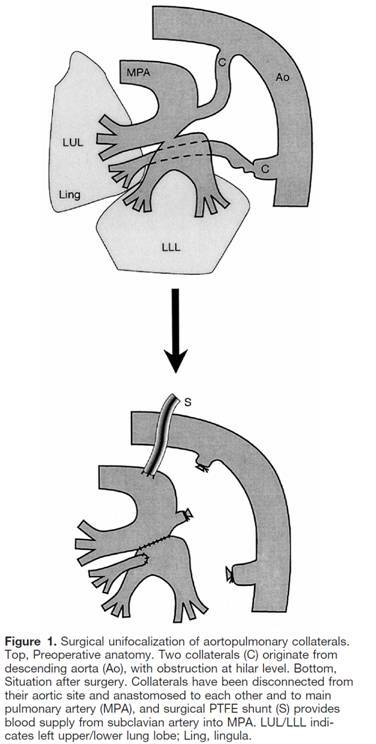 Circulation 2000;102 (Suppl III):III-142-III-147.